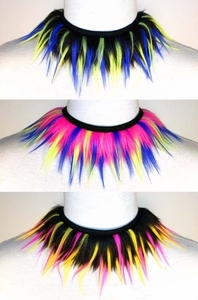 Home : Furry Chokers, Collars : Monster Fur Choker - Pick Your Color! Monster Fur Choker! Pick Your Color! Perfect addition to your rave outfit, will match our Monster furry leg warmers, Furry Skirts and cuffs.